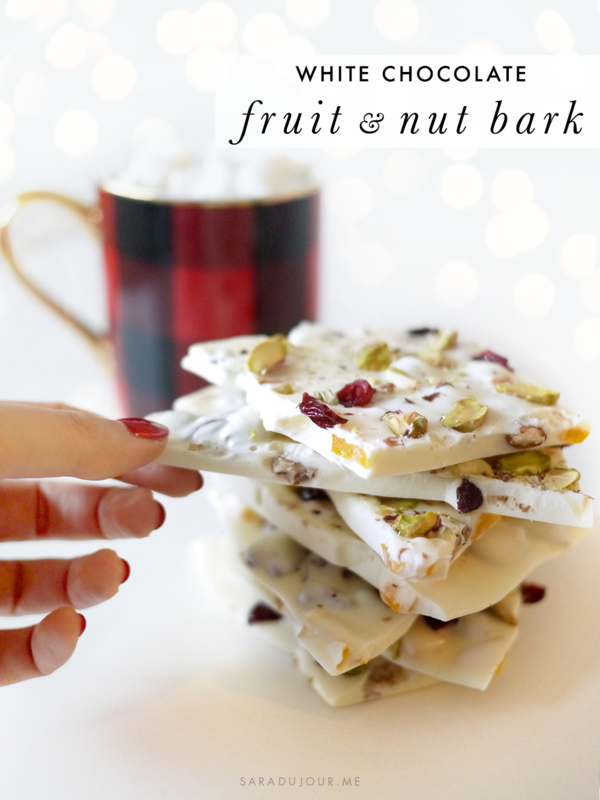 This white chocolate fruit and nut bark is super easy to make and you (or your recipient) won’t be able to get enough of it. 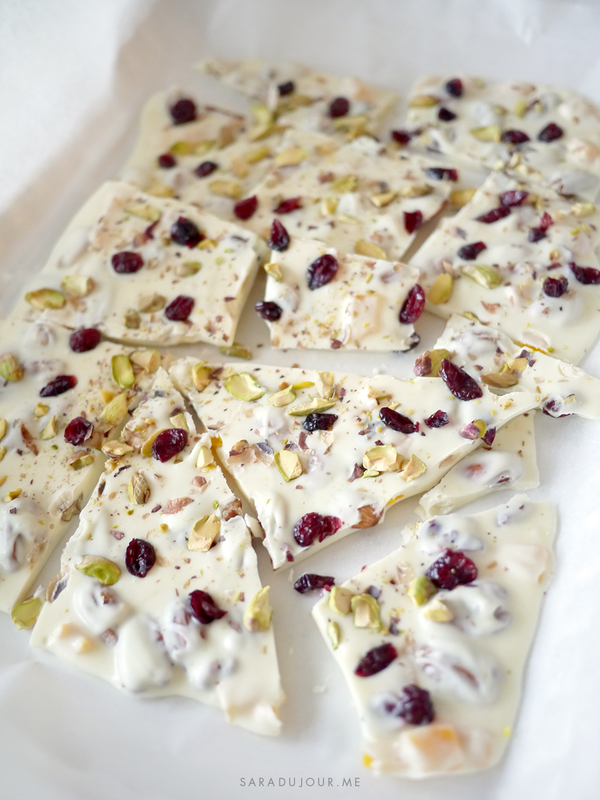 Plus, it makes for a great host or hostess gift for any holiday parties you might still have lined up. 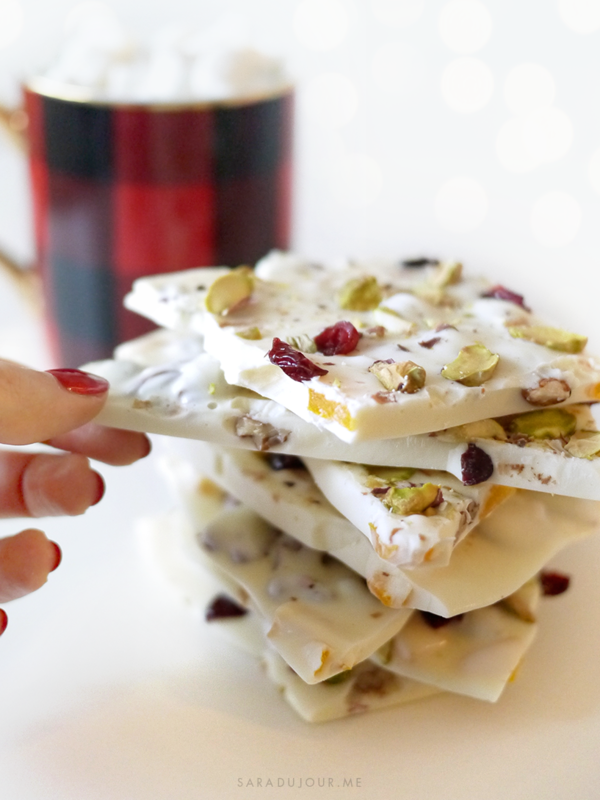 Heat up your white chocolate in the microwave, in 20 or 30 second increments until it’s totally melted. 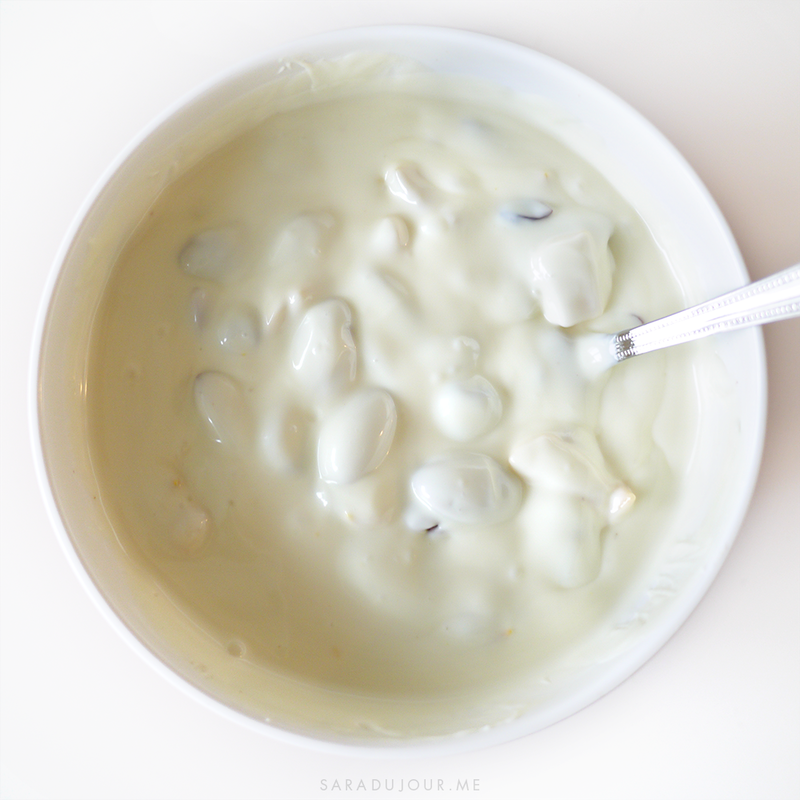 While that’s happening, chop up your dried mango slices into small pieces, and shell and chop your pistachios. 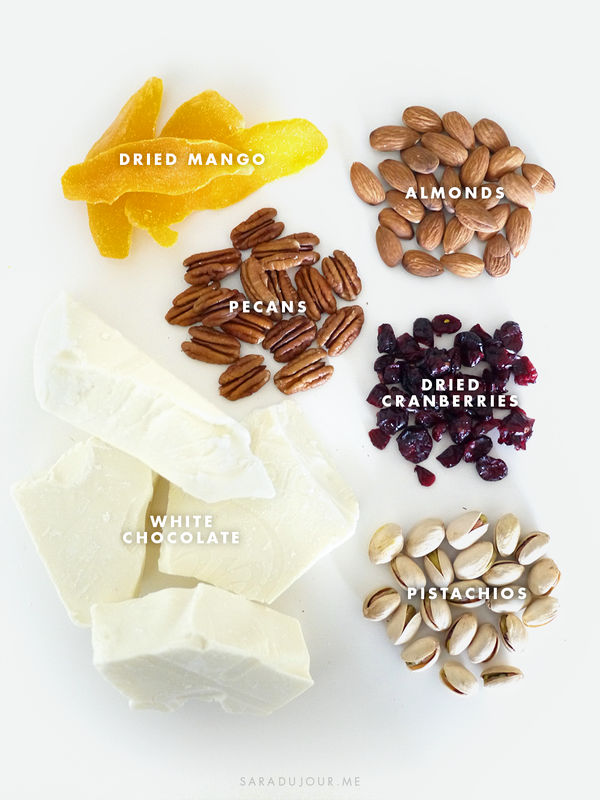 Throw your almonds, pecans, dried mango, and dried cranberries into your melted white chocolate and give that a good stir. 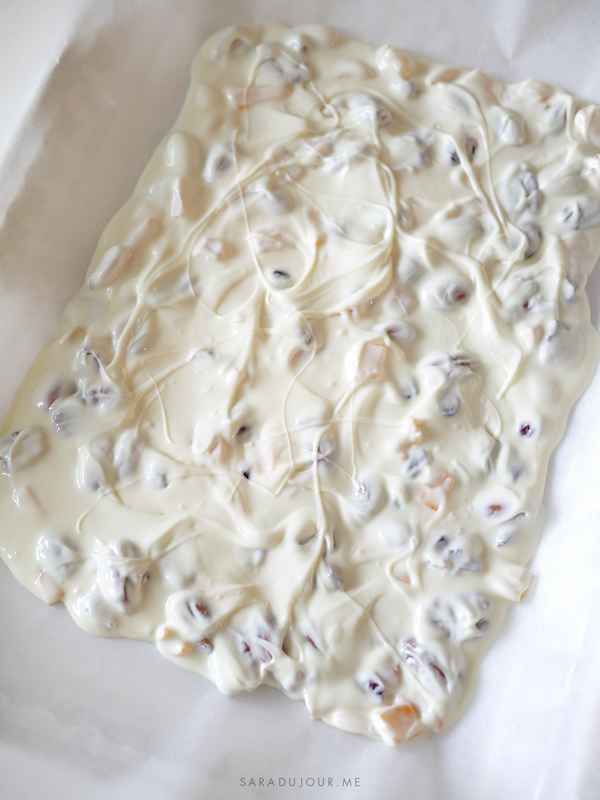 Pour that mixture onto a parchment paper-lined baking sheet. 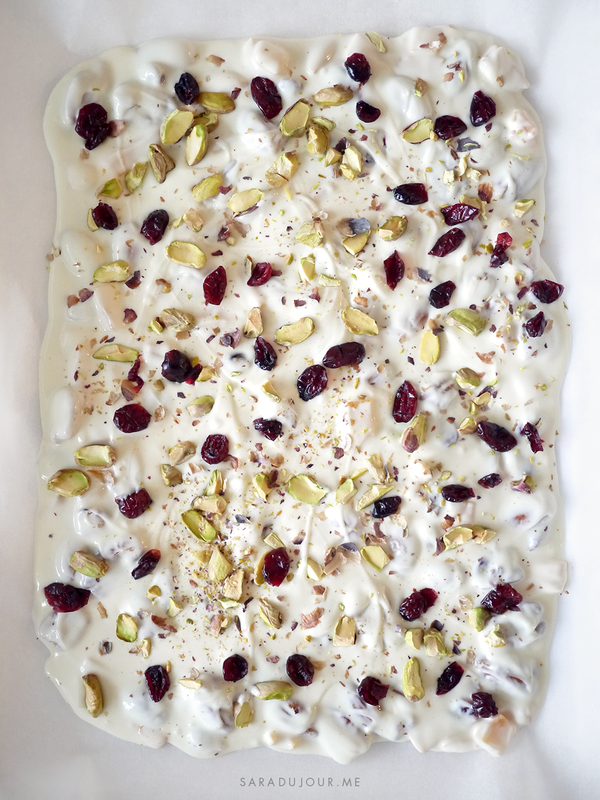 Spread that all over the baking sheet with a spoon. You can also use the spoon to pull up bits of the melted chocolate up and create this pretty texture. 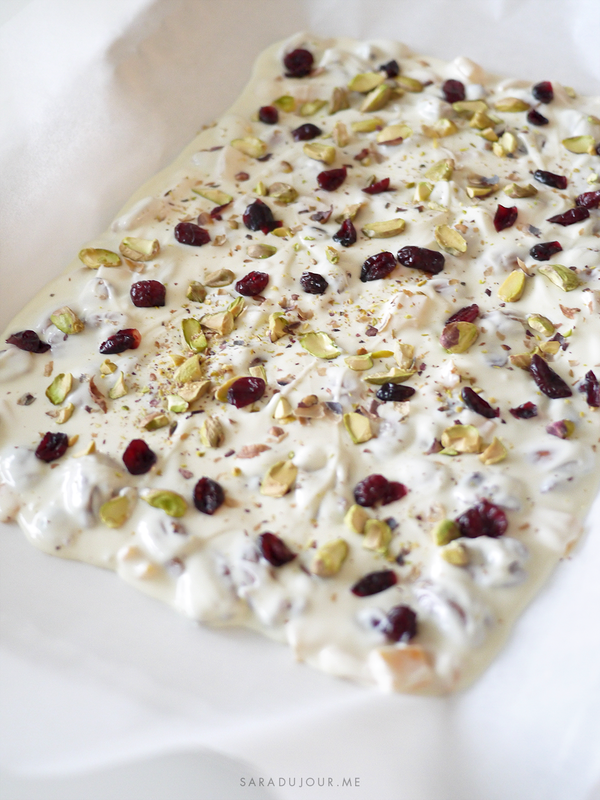 If you want, you can stop here, but I like to sprinkle a few ingredients on top of my chocolate bark as well. Once that’s done, either cut it into pieces with a large chef’s knife, or break it apart by hand for more organically-shaped pieces. That’s it! Serve it up at your New Year’s Eve party, keep it all for yourself, or divide it up and give it away as gifts. 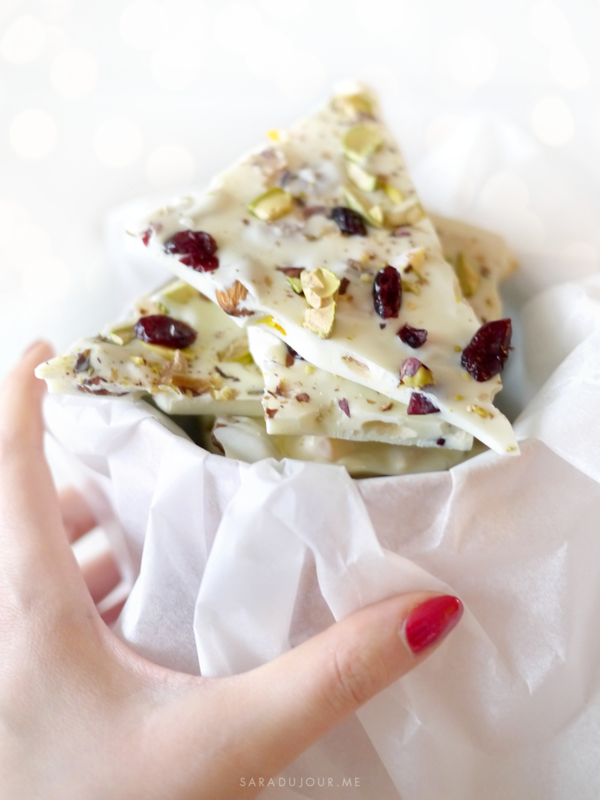 I put a stack of these chocolate bark pieces in a tin lined with parchment paper, and gave that as a Christmas present to my mum, who loves white chocolate. It did break my heart a little to part with it, though!